Sin Spins is a charming new site that brings a playful touch that so many other sites either neglect, or try and fail to execute. Full of entertaining and fun characters, and a focus on all things naughty, Sin Spins is one for those who like to play online casino games while consuming that hidden tub of ice cream that nobody else in the house knows they have! Being a little different is an excellent way to make an impact when you are coming into the online casino scene. There is a huge amount of competition in this particular market, and trying to stand out involves innovation and fresh ideas, combined with consistency in terms of gameplay, promotions, and all of the other factors that are expected from a good casino site. First impressions certainly suggest that Sin Spins has this combination of necessities for success, but having the recipe is one thing, without the right execution, the ingredients count for nothing. So does Sin Spins manage to create a niche for itself? Or will it fall into the middle of the pack with so many of its 2016 brethren? This site looks excellent and brilliantly entertaining. When you land at Sin Spins you are immediately greeted by a gold-toothed, cartoon-like devil character holding gem stones over a pile of casino chips and smiling with all of the cheek needed to give you an immediate understanding of the tone of the site as a whole. The background is a similarly cartoon style hell scene with a host of equally fun and playful characters as well as a few images taken from the most popular games on the site. Many of those popular games are available directly from the homepage, and despite the white background behind them seeming fairly out of place, this is an effective tool that has proven very successful for a wide range of other sites. This is simply an exquisite execution of a design concept, Sin Spins has decided exactly the impression it wants to give, and it does it with aplomb, an excellent first impression for a new site to make. A great design is a sure way to ensure that you stand out from the crowd, especially when it comes to new sites, but without a wide and varied range of games, it is not enough. With titles provided by 1X2gaming, Big Time Gaming, ELK Studios, iGaming2go, Leander Games, Microgaming, NetEnt, NYX Gaming, Quickspin, and Thunderkick, Sin Spins certainly appears to understand this necessity for variety. 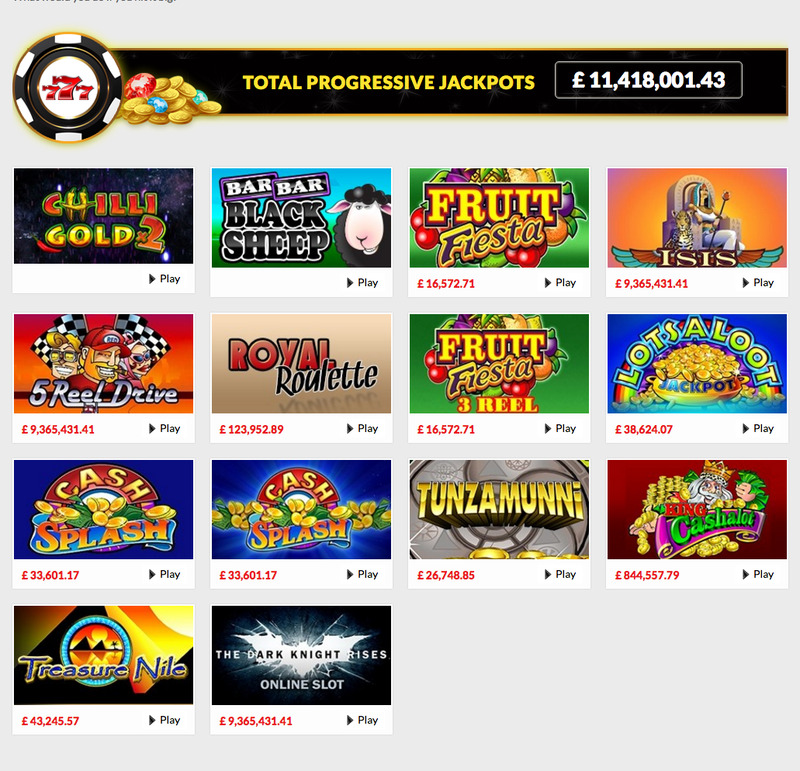 Despite what the name of the site may suggest, slots are not the only thing you will find here, but that does not mean you won’t find a huge amount of them, from old favourites to new releases and everything in between. 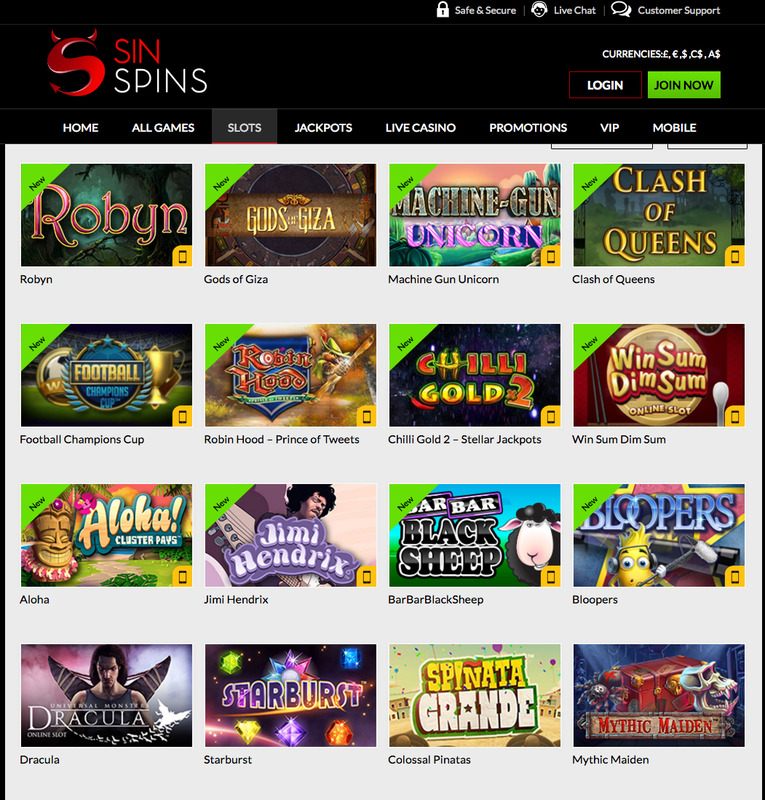 Alongside these slots however, you will also find a surprisingly impressive selection of table and card games, many of which can be played in Sin Spins live casino, which is another selling point that backs up this site as being one of the best releases of 2016. Many sites attempt to change the game entirely, trying over the top and unnecessarily complex themes, fixing things that were never broken, all in the name of making a splash on their arrival. What Sin Spins has done is almost the opposite of this. They have started with all of the things that make the best sites so good, promotions, excellent games, and a variety of gaming options, and they have added to this a real personal touch, and an enchanting design theme that really makes Sin Spins stand out, highly recommended.